If you haven't, here's Part 1 of this double post on Japanese cuisine and dishes. Japan has long been by influenced by China, its ancient neighbour across the sea. Chinese style cooking thus featured prominently in Japanese cuisine. Every supermarket cooked-food section would retail some sort of dim sum. Nagasaki and Yokohama are especially renowned for their Chinese restaurants. 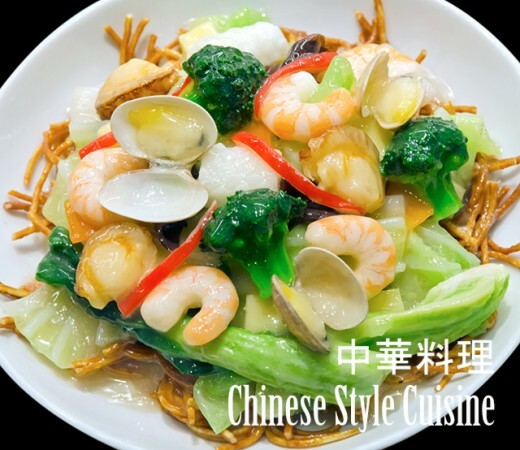 While many Chinese style restaurants in Japan are staffed by actual Chinese chefs, don’t expect the dishes to taste the way they would in Chinese cities. 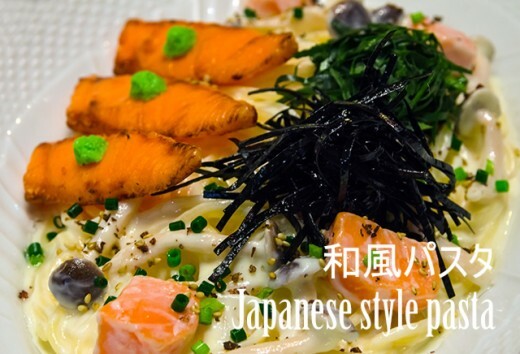 Differences have been incorporated to cater to the Japanese palate. That’s not to say they aren’t any good; personally, I think they still taste fine. In fact, the differences considered, I think it is a convenient way to experience greater East Asia, while being in just one location. 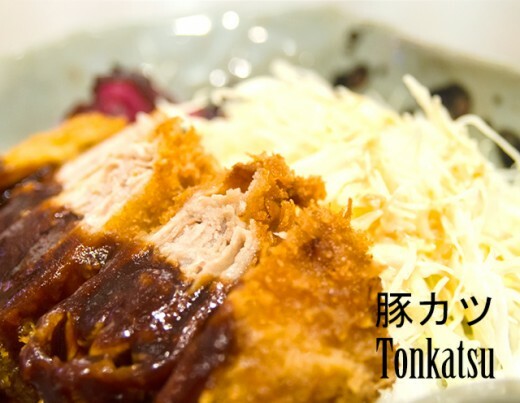 Tonkatsu is deep fried breaded pork cutlet. The word “ton” (豚) means pork. Nowadays, Tonkatsu restaurants also serve chicken or seafood. Tonkatsu is seldom eaten alone. It is usually served as a set meal. A proper Tonkatsu restaurant would also offer different types of cutlets to choose from. Fillet, loin, etc. 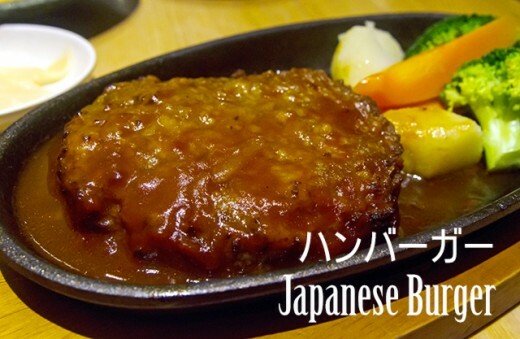 Lastly, Nagoya is famous for its Miso Tonkatsu, which has the cutlet drizzled with a dark brown miso-based sauce. This sauce is quite salty and strong, and thus might not be to the liking of some. I myself, however, absolutely love it. Plenty of cooking styles in modern Japanese cuisine were imported from the West. Imported and modified to suit Japanese tastes. 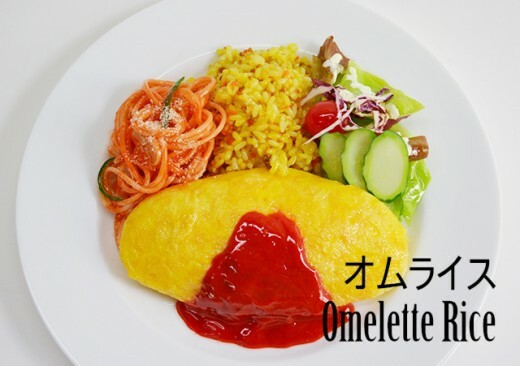 Omu-Rice, or omelette rice, is a great example. It consists of rice fried with ketchup and wrapped with an omelette. Additional ketchup is then slathered on top. Or the omelette is served with other sauces, such as cream or demi-glace. 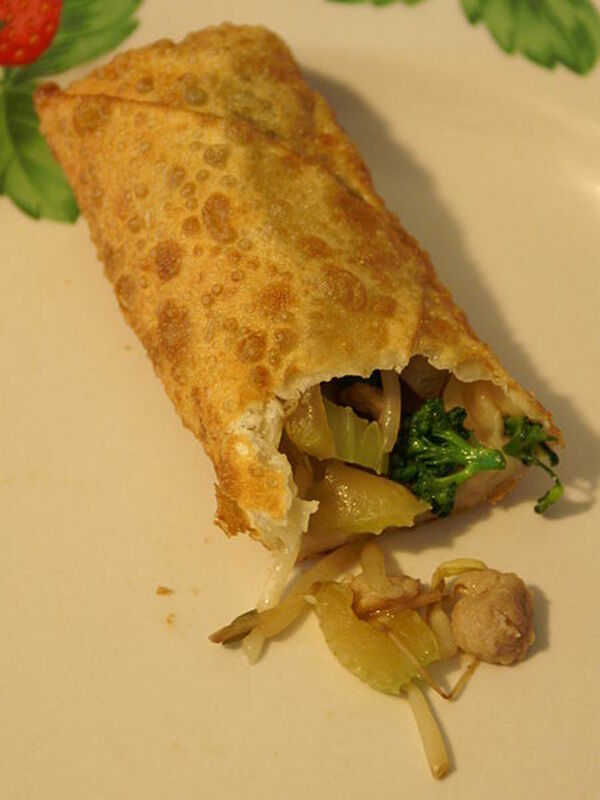 With the final dish usually very colourful, it is no surprise that Omu-Rice is a hit with kids. Because of its origin, Omu-Rice is considered classic Japanese cuisine Yoshoku (洋食). 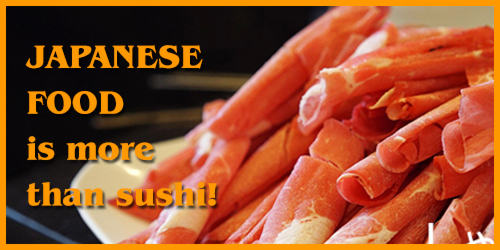 While Yoshoku literally translates to “western food,” it actually means western influenced Japanese food. 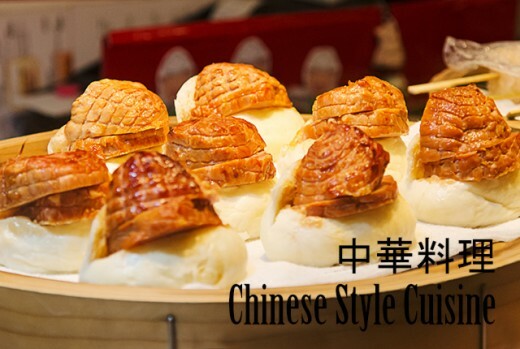 And so as in the case of Chinese style foods, don’t expect Yoshoku to taste exactly like western counterparts. Some types of Yoshoku might actually taste nothing like what inspired them. Yoshoku (洋食) is western influenced Japanese cuisine. It is NOT western cusine. Teppanyaki is food cooked over an iron plate. All sorts of ingredients from beef to chicken to seafood to seasonal vegetables are used. The popular way to enjoy Teppanyaki is to sit at a counter and watch the chef prepare the dishes, which are then served in courses. Of course, diners could also opt for a normal table, and have the prepared set brought to you together on a hotplate. Teppanyaki can be expensive. Top restaurants charge over 10,000 Yen for a dinner set. Naturally, these establishments use top-notch ingredients, such as Kobe beef. 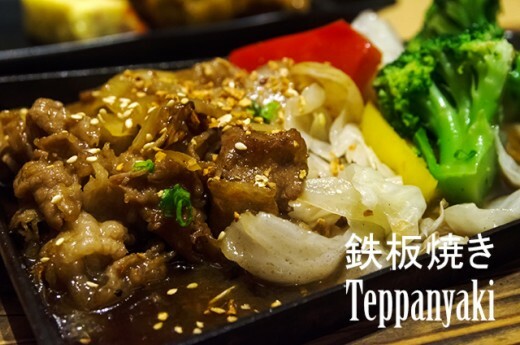 If one is fine with splurging, and is keen for visual entertainment during the meal, Teppanyaki is one of the best choices in Japanese cuisine to consider. It is also a great way to socialise with friends or business associates. Very simply, Karaage is deep fried stuffs. It includes good old fashion deep fried chicken. It also includes croquettes (コロッケ). 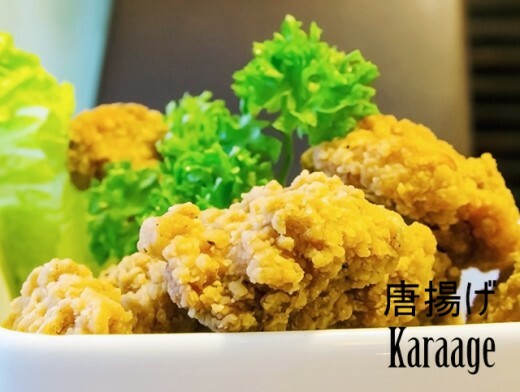 Karaage, especially croquettes, is found in any Japanese supermarket cooked food section, Many Japanese convenience stores sell them too. Meant more as snacks, Karaage wouldn’t fill you up unless you pair them with something else, such as rice. I would still recommend any traveller to check out Japanese croquettes though. Often, they feature regional specialities as fillings. For example, in Sapporo, croquettes might be filled with Hokkaido cream cheese or snow crab meat. They are also very affordable, generally costing around 200 to 300 Yen each . Burgers are American. In Japan, you could have the “traditional” western burger in fast food chains or American-themed outlets. Or you could try the Japanese version of burgers at restaurants serving Yoshoku (see above). Japanese burgers are essentially still meat patties. But other ingredients, such as tofu, might be mixed in. Japanese burgers are also often served on hotplates, without buns, and these typically come with some sort of sauce on top of it. If you’re a traditionalist, you might not like it done that way. If you are open to new tastes, you would find the patties still very tasty, if a bit soft. They go very well with other Yoshoku such as Japanese Pasta. I was torn between writing about Nabe or Japanese beef. I decided ultimately on Nabe because Japanese beef itself (wagyu) is often used in Nabe cuisine. Nabe meats pot. Hotpot cuisine is prominent in all East Asian countries and the Japanese version also has a simmering iron or clay pot before you, in which you cook your own meal. While it's considered winter food, Nabe could be enjoyed any time of the year. The famous Shabu Shabu is Nabe cuisine. So is Sukiyaki. 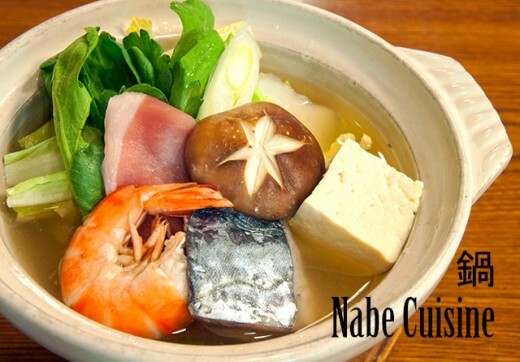 At higher class outlets, Nabe cuisine would features all sorts of exotic seafood. Depending on the quality of the ingredients you opt for, Nabe cuisine could be both affordable and extravagant. Here's where you could be conservative or adventurous. In Japanese pasta restaurants, you would always find the usual bolognaise and carbonara. But there would also be utterly localised variants, with ingredients like salmon, hinoki mushroom and nori in the sauce. Some Westerners I’ve met dislike these variations. Personally I’m not too fond of them either, particularly the ones with seafood. A visit to a Japanese pasta restaurant could be an experience though. They tend to have tens of dishes to choose from, and like most Japanese restaurants, these are displayed with rows and rows of plastic models beside the entrance. Very colourful, if something bewildering to make a decision about. 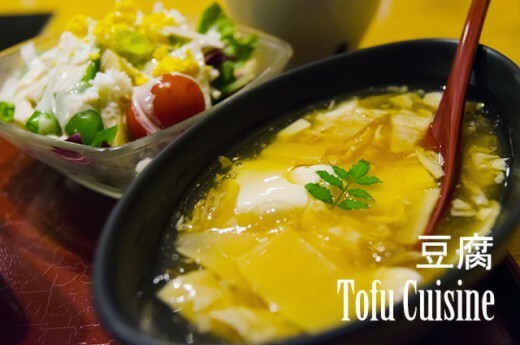 Tofu, or soya bean curds, is a key ingredient in Japanese cooking. You would for example always find some small cubes of it in miso soup. Though flat by itself in taste, tofu goes very well when mixed with other sauces or food. There are also several ways of cooking tofu. Such as deep frying, or with soup. If you are looking for something exotic, consider having a Yudofu meal in a temple. Such meals feature premium tofu cooked in hot water, and are very popular in Kyoto. You could also try more modern variations such as this restaurant in Kyoto station, which has sets featuring tofu cooked in several ways. You might have read about this in Memoirs of a Geisha. The awful Hatsumono stumbling back in the morning after a night of revelry, and only having appetite for Chazuke. Chazuke, or tea porridge, is very simply hot green tea poured over rice. 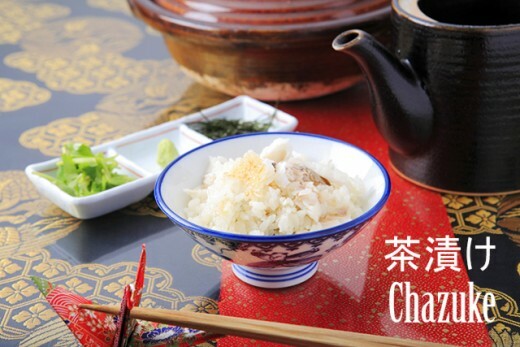 Once a sensible way to finish leftover rice, or when you are having that bad a hangover, Chazuke nowadays is used in some Kaiseki or Shojin-Ryori (Buddhist cuisine) banquets as the finishing dish. By itself, Chazuke sets are usually served with different pickles and flavoured food. For the tired traveller, this is a refreshing meal. Easy to wash down quickly too. Within minutes you would be all hydrated and filled up. All ready again for more enthusiastic exploration. With so many varieties of Japanese cuisine and foods, in additional to all the restaurants serving foreign cuisine, how could anyone starve when travelling in Japan? You might not even see sushi that often. Read Part 1 by clicking here! Which of these Japanese cuisine would you love to try? :P Thanks Cheeky. Omu rice pops up quite often in Anime and games, eh? Stahp! I'm getting hungry looking at all the food here. I want to try all of them! Hehehe.